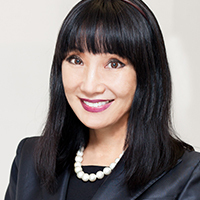 Akiko Takahashi is EVP & chief officer, HR/corporate social responsibility for integrated resort owner, developer and operator Melco Crown Entertainment. Prior to this she worked for her own consulting company, performing C-level executive searches for hospitality alongside service/brand culture alignment for a luxury hotel in New York, as well as handling the HR integration for the Intercontinental Hotels Group joint venture with ANA Hotels. She was previously global group director of HR for Shangri-la Hotels and Resorts for eight years. Her other US roles include SVP of HR and service quality for Bank of America, regional HR manager for Sheraton Hotels – Hawaii/Japan, and training manager for luxury hotel Halekulani. She started her career in luxury fashion retail in merchandising, operations, training and HR.